Have you heard? 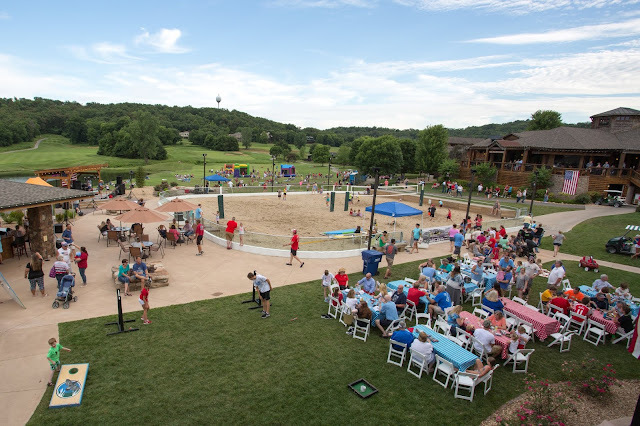 Old Kinderhook has the best sand volleyball court at the Lake of the Ozarks! With TWO courts, it's the perfect place for a match with your friends. Whether you are super competitive or prefer a friendly game, it's the ideal location for time with your friends and family. 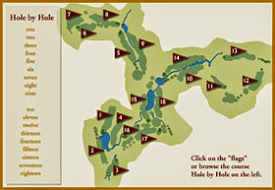 Our golf resort at the Lake of the Ozarks offers a number of amenities, in addition to our sand volleyball courts. Learn more below about our fabulous summer entertainment spot - The Sand! Sand volleyball is a great way to stay active this summer. Running around on the sand and hitting the ball back and forth is a great way to expert energy. You may not even realize how hard you are working since you are having so much fun! Sportsmanship is an important lesson in life. Volleyball helps create that comradery and reinforces those life lessons through the sport. Whether you are competitive or simply enjoy playing, it's a great way to increase your level of sportsmanship. Moving to hit the ball with your hands helps to work on your hand-eye coordination. This skill is not only important for sports but a skill you can use throughout your entire life. Work on your coordination by playing a match this summer! Being on a team can help you feel the comradery of your group. It's a great way to work on your team-building skills AND helps you find new ways to work together as a group. Teamwork is an important life skill that you will likely use each and every day. Being a part of a team and playing volleyball with others is a great way to socialize. Getting to know your teammates and members of the other team can help build relationships for a lifetime. Friendships formed on the court are strong! Who doesn't love being outside in the summer? Enjoy the natural beauty of our Lake of the Ozarks resort by playing on our sand volleyball courts. Soak up the sun and enjoy your time on the courts. It's a great way to breath fresh air, get some exercise, and build life-long skills! Last, but certainly not least - having fun in a MAJOR perk of playing on The Sand at Old Kinderhook. Make new memories with your friends and have FUN this summer! Volleyball is the sport of choice when the Ice closes down. 18" of quality sand and a state of the art netting system provide two volleyball courts available to our guest. The courts may be reserved and used as your personal playground. Located next to the Cabana this makes for a perfect outing for you and a couple of friends or a great team-building exercise. Join our volleyball league for a summer filled with fun and sand! It's a great way to stay active AND have fun. 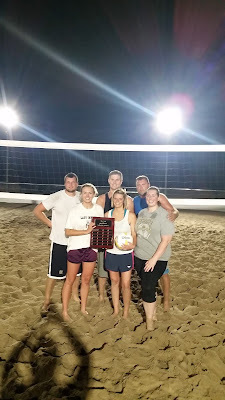 To register your sand volleyball team, contact Rob Wilson at rwilson@oldkinderhook.com or 573.317.3500. We look forward to being a part of your Monday evenings this summer! When are you coming to play sand volleyball at Old Kinderhook? As your hot spot for volleyball this summer, Old Kinderhook is the place to be. 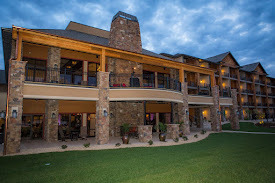 Our Lake of the Ozarks resort provides a TON of fun activities for your entire family to enjoy - a round of golf, a day at the spa, dinner at The Trophy Room, and of course, The Sand. We look forward to providing you and your friends with the perfect place for a game of volleyball!